In Colorado, motorcycles are viewed in the same way as vehicles. 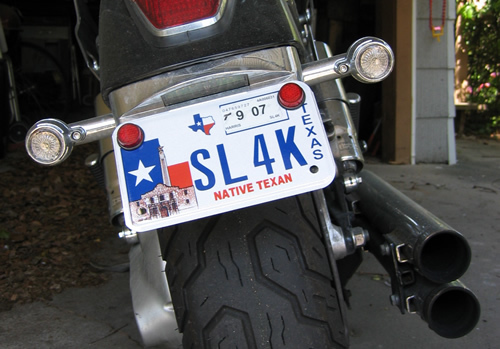 Thus the process of motorcycle registration and titling is the same as that of motor vehicles. However, motorcycles are exempted from emission testing. Also, the motorcycle registration and renewal fees are slightly lower than that of motor vehicles. You can also visit your local Parks and Wildlife Registration Unit to fill the form in person. You will receive your Colorado Registration Certificate within two weeks. You can change a dirt bike into a road-legal motorcycle, which is recognized by the state as a motor vehicle. With a bit of upgrading and tinkering, your bike can be titled and put into registration process as regular motor vehicles. To start the registration and titling process, you will need to complete a couple of forms. First, you need to fill Form DR 2686 (Certificate of Equipment Compliance for Motorcycles). This form lists all the equipment that a bike needs to be converted into a road-legal motor vehicle. You will also need to complete From DR 2698 (Verification of Vehicle Identification Number). In addition to these two forms, you will need to provide proof of bike ownership in order to title it. You can use a dealer’s invoice, bill of sale or the manufacturer’s statement of origin (MSO).